Fertile brands are brands that multiply. From the biggest brands to the smallest, they all use the same logic and are driven by the same impulses. The reason for this is they are created by the same system: the human brain. The most important fact you can ever learn about your brain is that it likes an easy life. Thinking and problems consume a lot of energy and resources, so if the brain can avoid thinking and live a life of ‘cognitive ease’, it will do so. One of the effects of this conservation of energy is that your behaviour becomes habit-driven because doing the same thing is less taxing than changing your behaviour. It’s the main reason why businesses are slow to change marketing tactics or marketing agencies that aren’t generating growth. A second consequence of the desire for ‘cognitive ease’ is you are more likely to base your decisions on information that’s most readily available to you. This leads to misjudgements about marketing tactics and an increased probability of misreading useful data. Psychologists divide the brain into two systems. System 1 is fast and based on intuition. System 2 is slow and based on reason. Because System 1 consumes fewer resources, we tend to use it to guide our decisions. In marketing, this is a mistake and leads to habit-driven behaviour based on cognitive biases such as the availability bias. The effect of these behaviours is that our thinking about marketing becomes rigid. Once that process takes hold, it is difficult to change and when change does come, it is driven by falling sales and shrinking margins. The first step in building a fertile brand is to base your marketing decisions on evidence, data and insight. These are the tools of System 2 and enable considered rational decision-making. Charles Darwin wrote that it was not the fittest that survive, but those who were most flexible in their behaviour because they had more behavioural choices than their competitors. What applies to natural selection also applies to commercial selection between brands that compete for the same customers. Increasing the behavioural choices you have and maximising the flexibility of your marketing depends on two things. Firstly, it’s important to integrate every element of the marketing mix into a strategic plan. Secondly, review and refine your strategy on the basis of evidence. This is using System 2 to maximum effect. Automation minimises cognitive effort and maximises the evidence on which you can base your marketing decisions. Use it wherever and whenever you can. This doesn’t mean being sceptical about opinions that are not your own. It means adopting a sceptical attitude to your own beliefs and assumptions and being prepared to change your behaviour when evidence compels you to do so. Fertile brands understand the behaviours that drive growth and those that inhibit it. 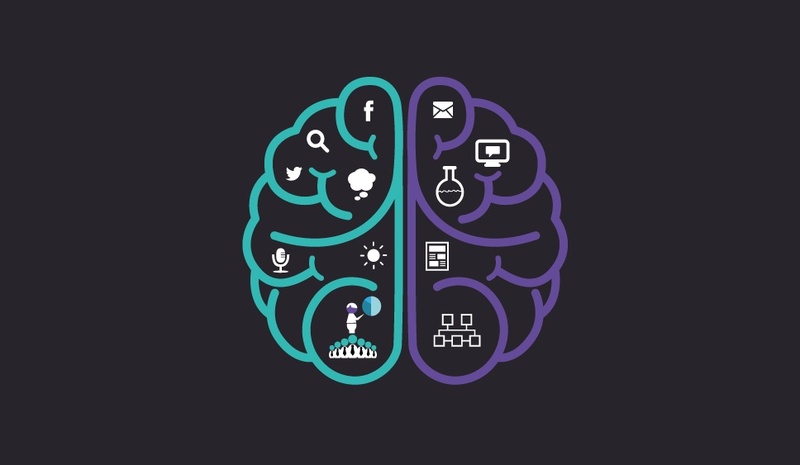 When these behaviours are implemented in a coherent way through the fabric of a business they stimulate sustainable growth and this is the main reason why, in 2015, Cognition’s clients grew more than three times the average for their sector (Source: Grant Thornton). Want to learn more about Fertile Marketing and the secrets of effective lead generation? Use the button below to download our free ebook today.